As Parliament prepares to amend legislation protecting tenancy deposits, we look at what this means for landlords and tenants and consider the lessons for legislators. The idea that a landlord taking a deposit from a tenant was free to do pretty much whatever he chose with the money have been around for a long time. In 1998, the National Association of Citizens Advice Bureaux published its report, Unsafe Deposit, which suggested that 48% of CAB clients surveyed had had a landlord unreasonably withhold some or all of the deposit in the previous five years. The Survey of English Housing for 2001/02 found that 69% of tenants who had not had any or all of their deposit returned felt that money had been unjustifiably withheld. While these figures should be treated with some caution – “after all, they would say that, wouldn’t they?” – they clearly gave rise to justified concern. The sums involved are far from insignificant. In 2002, 70% of the 2.21 million private rented sector tenants had paid a deposit. The average deposit was around £510 (the equivalent of a month’s rent), leading to a calculation that around £790m was being held in deposits. As we have previously noted, the number of private rented sector tenancies has now risen to 4 million. The English Housing Survey reveals that the average rent in the private rented sector is now £163 per week, or a little over £700 per month. Assuming that the proportion of tenancies in which a deposit has been paid has remained stable at 70%, and assuming that the average deposit still represents a month’s rent, £1,960m is currently being held by way of tenancy deposits. Furthermore, as experience is that it is becoming increasingly common to ask for a deposit of more than one month’s rent (i.e. a second months’ deposit to cover the last month’s rent), the total is likely to be even higher. 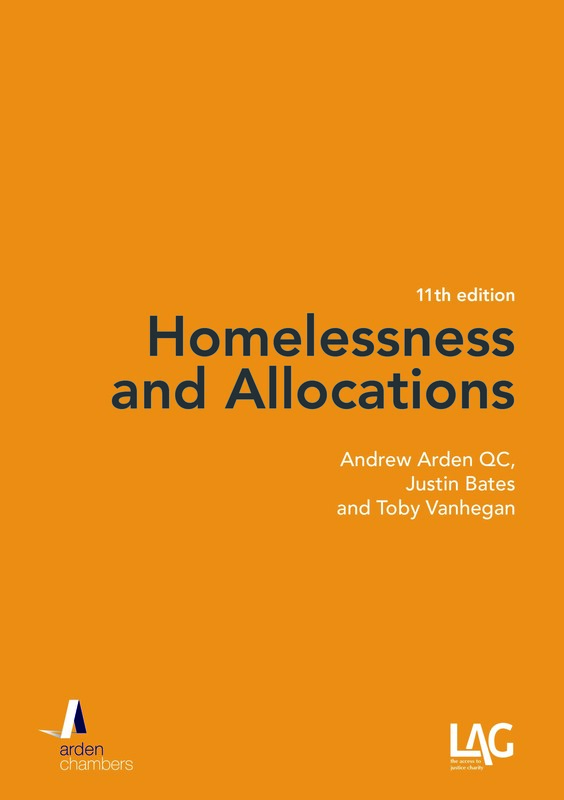 The consequences for tenants can be more than just the obvious financial issues: Unsafe Deposit cited cases of households facing considerable hardship and even homelessness through their deposits being withheld, as they had no means to raise a deposit for the next property. In 2000, a voluntary tenancy deposit scheme was set up by the Independent Housing Ombudsman. Take-up was very slow. In 2002, the Office of the Deputy Prime Minister consulted on this issue in Tenancy money: probity and protection, saying that the failure of landlords to sign up to the voluntary scheme meant that a statutory scheme was being considered. Although a draft Housing Bill was published in March 2003, just a month after the consultation closed, it did not make any provision for tenancy deposits. In December 2003, a Bill was introduced to Parliament but there was still nothing covering tenancy deposits. It was not until May 2004 that the then Minister for Housing and Planning announced that the Government would be bringing forward amendments to the Bill to cover tenancy deposits. Those amendments did not, however, materialise until a relatively late stage in the Bill’s passage through Parliament which had the unfortunate effect that, while the policy behind the measures had been consulted on, the technical detail of the legislation had not. The tenancy deposit schemes provisions were ultimately passed as Pt 6, Ch.4, Housing Act 2004. 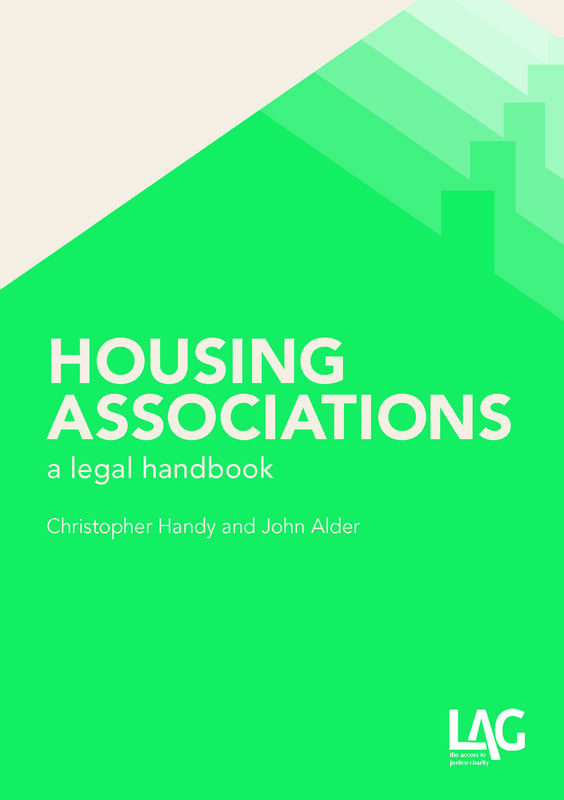 Section 213(1) provided that where a landlord received a tenancy deposit in connection with an assured shorthold tenancy, he had to deal with the deposit in accordance with an authorised scheme. The initial requirements of the scheme had to be complied with within 14 days of receiving the deposit and a landlord had to provide his tenant with certain prescribed information within the same period. The prescribed information is to be found in the Housing (Tenancy Deposits) (Prescribed Information) Order 2007 (SI 2007/797). It includes such matters as the contact details and procedures for the deposit scheme and identifying features of the tenancy. The sanctions for non-compliance are found in ss.214 & 215. Where a deposit has been paid, but the landlord has failed to deal with it properly, the tenant could apply to the county court. The county court is empowered either to order the landlord to pay the deposit into a custodial scheme or to repay it to the tenant. The court was obliged to order the landlord to pay the tenant a sum equal to three times the amount of the deposit. Section 215 provides that a landlord who had not complied with the requirements relating to a deposit is unable to serve a notice under Housing Act 1988, s.21. There are two types of tenancy deposit scheme: custodial and insurance. In a custodial scheme, the landlord pays the deposit over to the scheme administrator. The scheme administrator then keeps the deposit until the end of the tenancy, at which point it is returned to the landlord or tenant, as appropriate. In an insurance scheme, the landlord keeps the deposit. At the end of the tenancy, the landlord is required to make the appropriate repayment to the tenant, via the scheme administrator. The scheme administrator is also required to maintain insurance, to cover any shortfall if the landlord does not cooperate. There are authorised schemes of both types. The tenancy deposit provisions came fully into force on 6 April 2007. They have been the subject of much subsequent litigation. Two Court of Appeal decisions substantially reduced the effect of the protective measures. First, in Tiensia v Vision Enterprises Ltd (t/a Universal Estates)  EWCA Civ 1224;  1 W.L.R. 94;  H.L.R. 10, the Court of Appeal held that where a landlord has failed to comply with the initial requirements of an authorised scheme, he will not be liable to pay the statutory penalty if the deposit is protected before a county court hears the application under s.214. Secondly, in Gladehurst Properties Ltd v Hashemi  EWCA Civ 604;  H.L.R. 36, it was held that a county court could not order a landlord to pay the statutory penalty if the tenancy had come to an end. Parliament sought to reverse the effects of both decisions through amendments in Localism Act 2011. The time for complying with the initial requirements of a scheme and for serving the prescribed information was extended from 14 days to 30 days. If the landlord fails to comply within that 30 day period, the county court can award a statutory penalty even if the landlord does subsequently comply. This has the effect of reversing Tiensia. Amendments were also made allowing a tenant to make an application under s.214 after the tenancy had come to an end, thus reversing Hashemi. The statutory penalty was itself amended, however, to give county courts a discretion as to how much to order the landlord to pay to the tenant (within a range of one to three times the deposit). Litigation around the 2004 Act has not abated. In Superstrike Ltd v Rodgrigues  EWCA Civ 669;  1 W.L.R. 3848;  H.L.R. 42, the parties had entered into a tenancy on 8 January 2007 (i.e. before the provisions of the 2004 Act came into force) for a term of 364 days. A deposit had been paid by the tenant. In January 2008 (i.e. after the provisions came into force), the fixed term came to an end and a statutory periodic tenancy arose under Housing Act 1988, s.5. The landlords retained the deposit. The Court of Appeal held that this amounted to a new tenancy and that the tenant was to be treated as having paid a deposit at that time. As the landlords had failed to take any steps to comply with the tenancy deposit scheme provisions, they were prevented from relying on a s.21 notice. Left unclear was what would happen where a fixed term tenancy was entered into after the 2004 Act came into force, and the provisions were properly complied with: did the commencement of the statutory periodic tenancy comprise a new tenancy with the result that the provisions had to be complied with afresh? As a response, the Government is now bringing forward further amendments to the tenancy deposit schemes legislation, which have been introduced to the Deregulation Bill currently progressing through Parliament. At first glance, the Deregulation Bill may seem an odd vehicle for amending the tenancy deposit legislation. That may be so but the long title of the Bill says that it is designed to make “provision for the reduction of burdens resulting from legislation for businesses or other organisations or for individuals.” Those in the business of being landlords will hope that the amendments do relieve them of the considerable burden that Superstrike threw their way. In its current form, cl.31 of the Bill would introduce four new sections into the 2004 Act, as 215A-215D. Importantly, the new s.215A provides that the requirements in s.213 will apply to any AST where a deposit was received before 6 April 2007 and a statutory periodic tenancy has arisen on or after that date: that adopts Superstrike. Time for compliance in those circumstances is, however, extended to 90 days from the commencement date of these amendments, during which there is a period of grace the effect of which is that the reversal of Tiensia does not apply, i.e. if the landlord complies within this period, there will – in these Superstrike cases – be no penalty. The new s.215B will also reduce a landlord’s burdens. It provides that where a deposit has been received in relation to a fixed-term AST and has been dealt with properly, there is no need for the landlord to re-comply where a statutory periodic tenancy arises. The new s.215C makes similar provision where a new fixed-term or contractual period tenancy is entered into. It is just over seven years since the tenancy deposit schemes provisions in the 2004 Act came into force. In that time, Parliament has already had to use the Localism Act 2011 to amend the legislation once. The second set of amendments, contained in the Deregulation Bill, are likely to become law soon. These changes have not been caused by some change in policy. The changes have been brought forward because the original legislation was not working as it had been intended to. Having realised this, Parliament attempted to fix the problem in 2011. It is clear from the need for further amendment that this was not successful. Our intention here is not to criticise the policy – we could argue that it should go further (Shelter’s suggestion, in response to the 2002 consultation, of a single, national custodial scheme which directly collects and holds all deposits has much going for it), but the general thrust of the policy is in the right direction. The lesson that we would like to see learned from of all of this is that although it is all very well consulting on policy options, it is not enough to ensure good legislation. 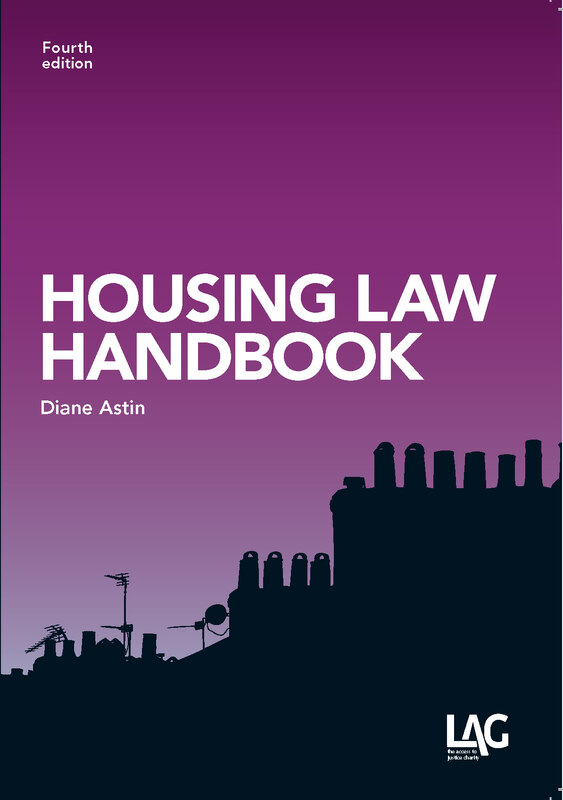 Housing law is complex. The technical application of the law is, in practice, at least as important as the policy. As we have already noted, there was no consultation on the wording of the tenancy deposit scheme provisions. Hindsight is, of course, 20/20. Nonetheless, we are confident that at least some of the problems that have befallen the tenancy deposit schemes legislation could have been avoided if draft legislation had been made available for public consultation. It is unfortunate that the Law Commission was not asked to become involved as by the time that it produced the draft Rented Homes Bill in 2006, it was already too late. In any event, while the Law Commission’s involvement would surely have been beneficial, this is not necessarily the type of work that it is designed for. While the Law Commission’s functions include law reform projects, these are invariably substantial, over-arching projects (such as “Renting Homes”). The tenancy deposit legislation called for something a bit different. What would have been useful in the summer of 2004 is a consultative and advisory body that can focus on specific, discrete legislative topics while remaining able to consider them in the wider context. Perhaps the time has come for a Housing Law Commission? If the Government decides to proceed with legislation tackling retaliatory eviction, it will certainly be necessary to ensure that the legislation is both understandable and effective. Equally, we have previously suggested some areas of possible reform, such as licensing of landlords and letting agents and lettings to students.